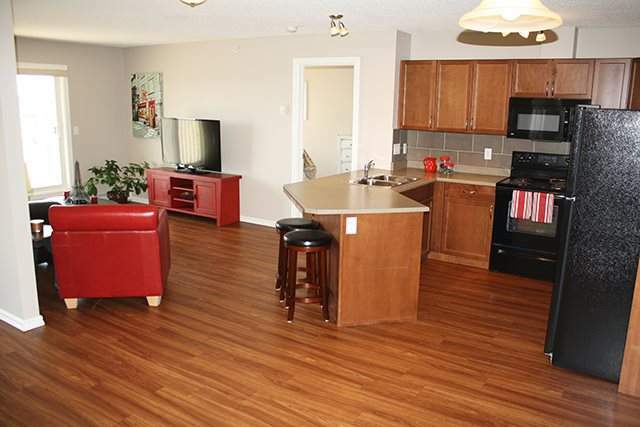 Fort Saskatchewan's Finest Condominium Rental Community for Mature Couples & Singles. Fitness Room. Elevators. Underground Parking. Heat, Water, and Electricity Included! Originally constructed in 2008 to be sold as condominiums, Westwood Terrace offers one and two bedroom, large, condominium-quality apartments. Residents enjoy the quiet, peaceful lifestyle of an adult oriented community. Linda, Stephie, and Tony (live-in community managers) provide personalized, caring service to each of Westwood Terrace's residents. With nearby access to Fort Saskatchewan's river valley parks and to the Highway 21 corridor, Westwood Terrace provides active lifestyle and convenient transportation. Amenities include: private balcony or patio, walk-through closet to ensuite bathroom, open kitchen and breakfast bar, 7 appliances (including fridge, stove, dishwasher, microwave, garburator and in-suite laundry), natural gas BBQ hookup on balcony or patio, underground parking, fitness room, elevators, and beautifully appointed lobby and hallways. 6 and 12-month leases are currently available, with heat, water, and electricity included. No smoking and no pets. Bonus 1 Month Free on a 13-Month Lease with $499 Security Deposit. Exclusive Deals with Shaw Services available to Westwood Terrace Residents (Limited Time Offer, Some Conditions Apply, Site Manager to provide details, subject to Shaw availability & conditions).